One of the best-kept secrets in Trinity is what happens at the Trinity Memorial Hospital board meetings. Not that they hide anything. They want the community to know what they are doing and what progress they are making for Trinity. Although it has been quite some time since I attended a board meeting, I’m sure glad I made it to this one. The last time I spoke to members of the board was on video when I interviewed president Randy Karnes, vice-president Carlyn Bluis, and secretary Marjory Pulvino. In that video, they explained why we pay hospital taxes when we don’t have a hospital. They told us how the Huntsville Memorial Hospital had planned to join with us and then pulled their support a mere nine months before the date set to close our facilities in 2016. The board worked for more than a year with Huntsville, and with only nine months left before the scheduled closing they changed their minds. At this meeting we found out that there is a strong possibility that we will eventually have an emergency room. 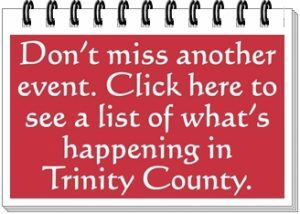 Meetings are scheduled with possible backers who may be interested in reopening the Trinity Memorial Hospital Emergency Room. If it opens, it will be as a satellite program modeled after a hospital based stand-alone ER in Lufkin that has proven to be a successful venture there. Financially, the Trinity hospital is in good shape and according to board secretary Marjory Pulvino, “our facilities are better than many larger hospitals for operating an ER.” Since the hospital has been shut down the Executive Secretary to the Board, Bill Goodin has done an excellent job of maintaining and protecting the building and its equipment. Opening and running an emergency center is a daunting and expensive task. There are many things to consider and stringent requirements to which the hospital must adhere. The required base staff alone is considerable. An ER must have a doctor, two RNs, a radiology technician, and a laboratory technician 24/7. On September 10th and 14th at 5:30 PM there will be two tax hearings for the Trinity Memorial Hospital. They will be in the hospital emergency room. The public is encouraged to attend and discuss the proposed tax changes for 2018. After writing the United States, Constitution Benjamin Franklin is reported to have said, “Our new Constitution is now established, and has an appearance that promises permanency; but in this world, nothing can be said to be certain, except death and taxes.” It’s the taxes that pay the bills for a new emergency room, so, come out to the meeting and be part of the solution. While there are no promises that an ER is in Trinity’s near future, the hospital board is tirelessly doing everything possible to make it happen. Trinity is a praying community, and while most of us can’t do what the hospital board is doing, we can pray. On Monday nights at 7 PM Carolyn Colvin has gathered a group who meet at the hospital to pray for Trinity and our need for a hospital. Come and join them. Pray at home. Pray at church. 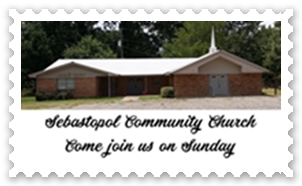 Put it in your church bulletin and encourage your church members to pray. There is no telling what can happen through our prayers and the hard work of the hospital board.